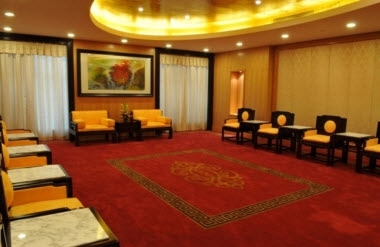 Guangzhou Royal Mediterranean Hotel is located at No.518, Tianhe Road, Guangzhou, China. 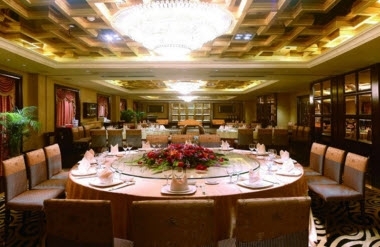 It is located in the south section of the flourishing Tianhe Road. 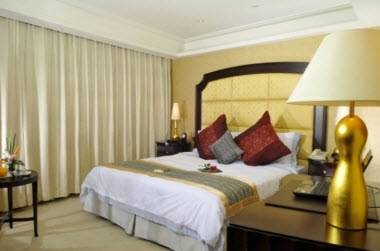 Bordering the subway station and downtown major business district, the hotel is within an easy traveling distance to the well-know shopping circle in Asia, formed by Grandview Plaza, Grandcity Plaza and Tee Mall. It may just take you 10 minutes from the hotel to Guangzhou East Railway Station(3 km) or Chinese Export Commodities Fair Pazhou Complex(6 km), and 40 minutes to Baiyun International Airport(33 km). 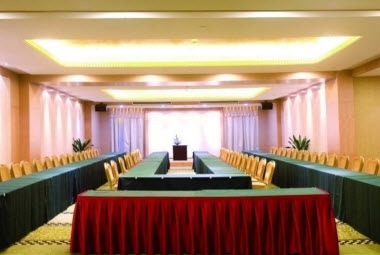 The hotel has many rooms for western-style conference and celebration banquet, which can hold 800 guests and 30 feast tables respectively. Beside that we also provide luxurious style astylar assembly hall which decorated with resplendent lights. Multi-functional rooms with its exhibition equipments that can meet international business activities' needs, are also the ideal place to hold exhibition, fashion show, seminar and etc. Hotel has 400 guest rooms for accommodation.